Joyce is proud to partner with Ruinart once again to welcome Art Basel Hong Kong. Joyce and Ruinart are both passionate about nurturing emerging art and design talents. 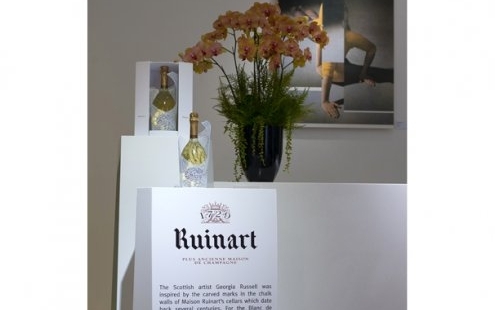 As the official champagne partner for Art Basel, Ruinart dedicates its VIP lounge to a specific artist. 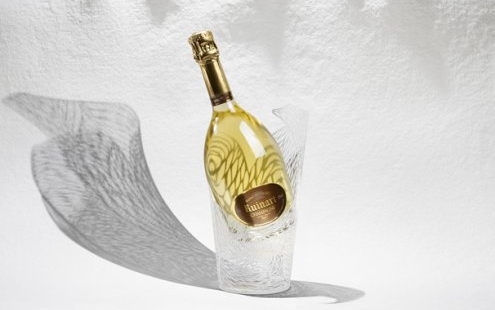 This year Georgia Russell, a Scottish artist has created two contemporary works for the annual event; a grandiose sculpture that pays tribute to the founding act of the Maison and a stunning white ornament that wraps around the signature Blanc de Blancs. Russell currently resides in Paris where she sources old books and photographs for her magical creations. She uses a scalpel to cut these paper objects then transforms them into 3D volumes. 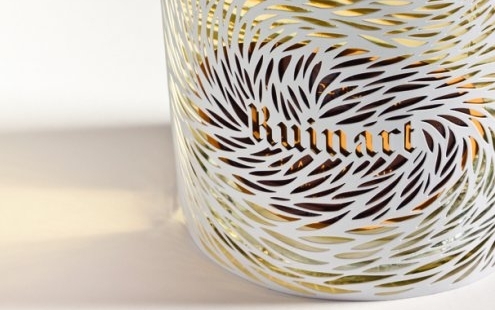 Her elegant ornament for Ruinart is the perfect example of her precision-skill. It captures the light reflected by the exquisite champagne, which is a unique cuvée made entirely of Chardonnay grapes. The meticulously cut cathedrals act as guardians to the bottles, portraying the intricate form of the chalk cellars. This ornament piece (HK$980 each) is now exclusively available in Joyce Boutique.